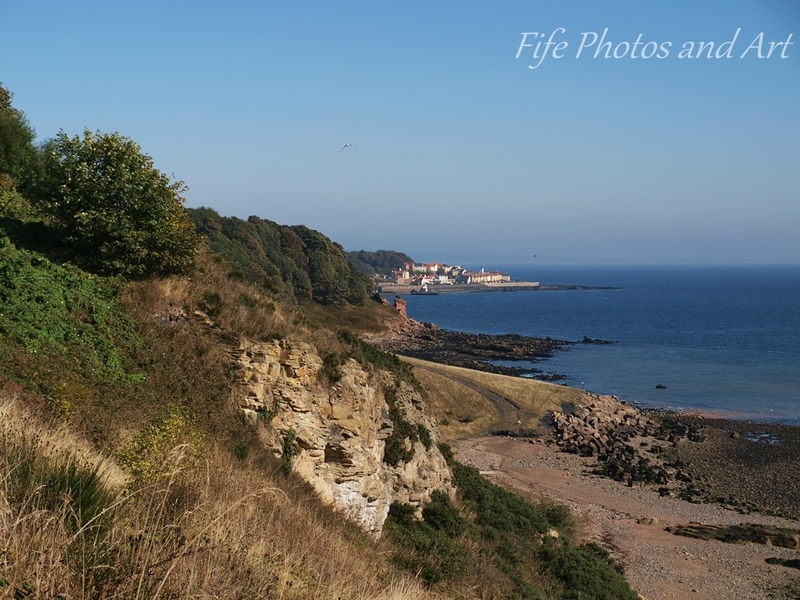 The third photograph is taken from the top of the cliffs at the eastern end of Dysart, looking down on the small coastal village of West Wemyss (pronounced ‘weems’). 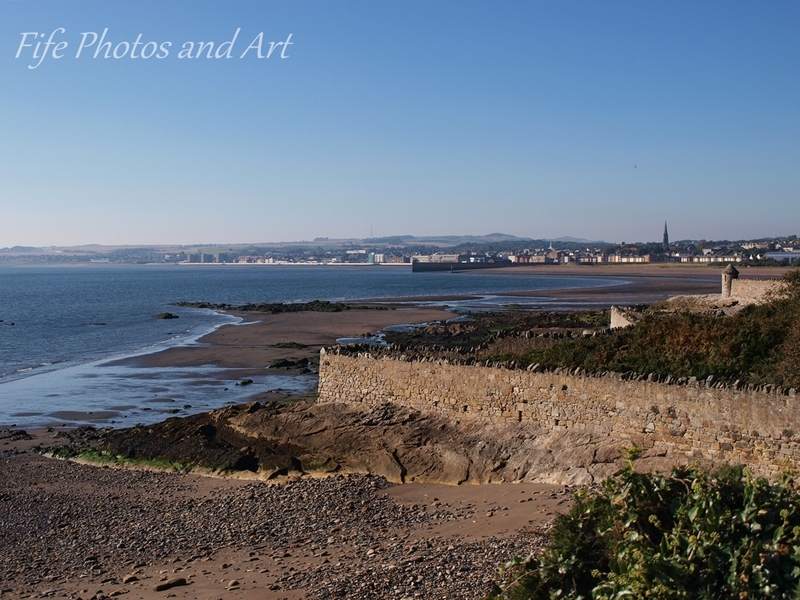 The final image was taken, as I walked back later on in the day, from almost the same spot as the above photo, but this time looking back at Dysart (and Kirkcaldy beyond), as the sun was just beginning to set. 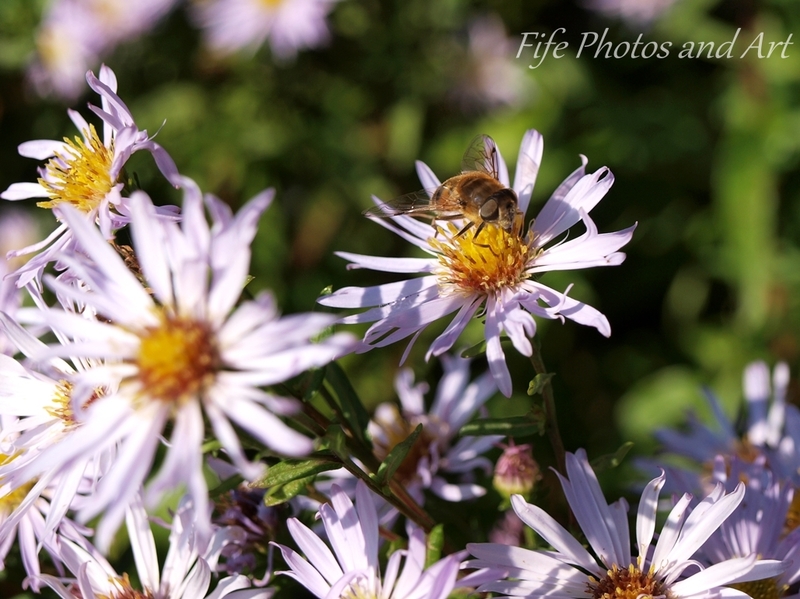 This entry was posted in Walks, Weekly Photographic Challenge and tagged beaches, coast walk, Dysart, Fife, hoverfly, insects, Kirkcaldy, landscape photography, Scotland, sea aster, West Wemyss, wpc. Bookmark the permalink. This is a walk I know well. It’s lovely to see it in such bright light. I agree, it is the best treat to be outdoors with the camera on a nice sunny day. We have a Dysart in my state, but it looks nothing like this one!! No doubt it would be the kind of countryside an amateur geologist would find interesting. ( Both locations !!) 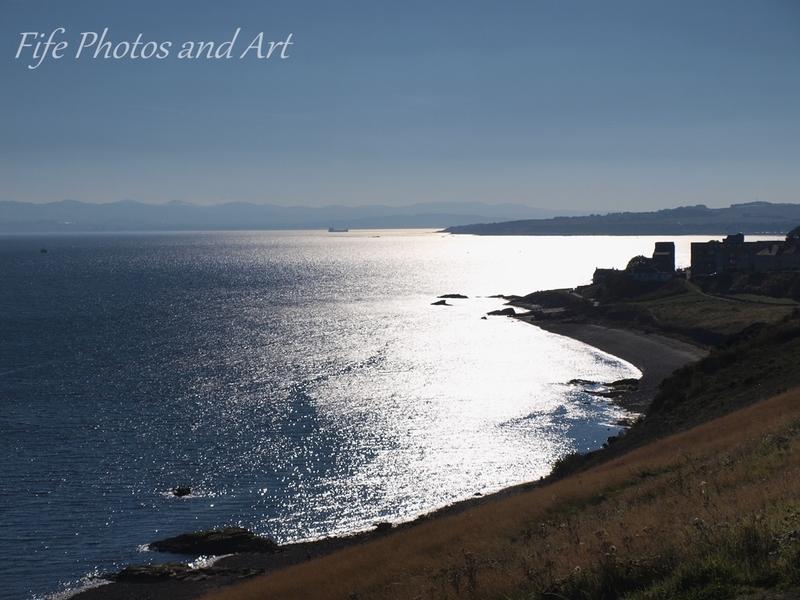 Really lovely photos of the cliffs. I have never had a desire to travel to Scotland, but your photos do make me realize that there is beautiful landscape and seascapes to be seen. Great capture of light in the final photograph. Thanks Amanda 🙂 Scotland does have some amazing scenery, I shouldn’t say this, but it get’s even better up in the Highlands! My image of the highlands is windswept, desolate and cold. The cold is ok. I am not a fan of wind!! Perhaps! Is it windy all year round? Okay, I will definitely keep away from that area. I actually have some friends in Falkirk that keep asking me to come and visit. Maybe one day, in the future I might take a detour there. But not for some years yet. It is a long way to come Amanda, the most I’ve done is about a 4 hour flight to Israel. I can’t say that I would particularly enjoy a flight lasting almost 24 hours! Just don’t be like a lot of tourists and expect you can see it all in just 2-3 weeks. It is a BIG country….. Yes. They often say things like. Can we pop up to see the Barrier reef one day? ( It takes two full days if driving to get there)😕!! Lovely photos. I particularly like the one of the aster with the hoverfly. I used to have some Michaelmas daisies in my garden in Aberdeen but they tried to take the whole place over, so I have left them out of my new, small, garden in Glasgow. There are lots of wild ones around, even in the city, to admire though. Thanks Christine 🙂 The Michaelmas daisies can spread quite rapidly, which can be a bit of a pest, even though they look very pretty. I couldn’t agree more with a lovely walk on a beautiful day in a wonderful place as the best treat of all – especially when there’s a camera involved! These are all lovely and take me right back to our recent Scotland visit! Thansk so much for sharing. Thank you Jo 🙂 It was a beautiful late October day, ideal for catching the sun as it began to set over towards Edinburgh in the distance.